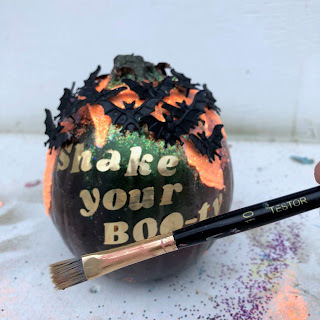 Enjoy the season to get creative and explore other ways to spread some joy around. 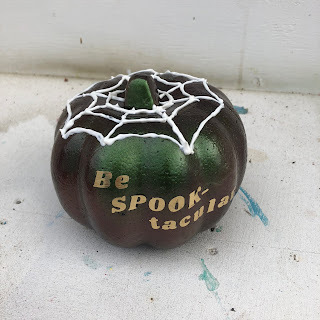 Small pumpkins are great to carry some fun words and _ why not? 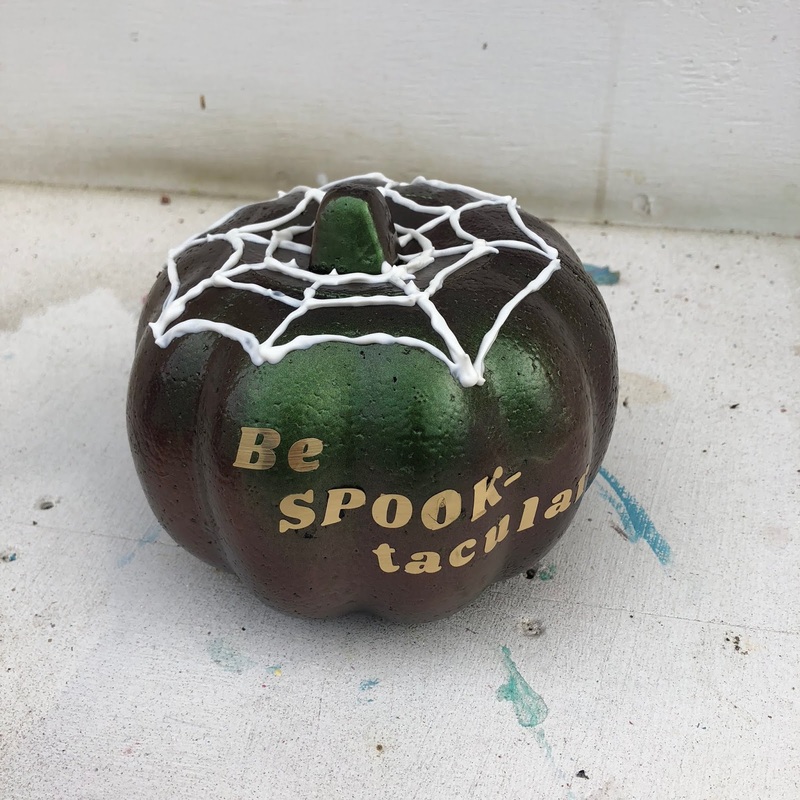 _ some puns! 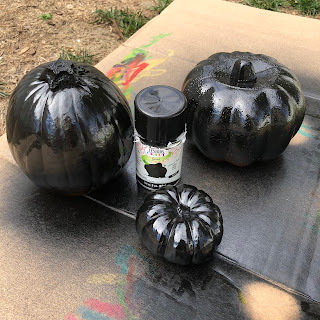 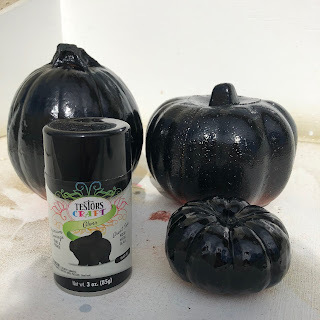 I wanted a kind of dark look for my pumpkins. 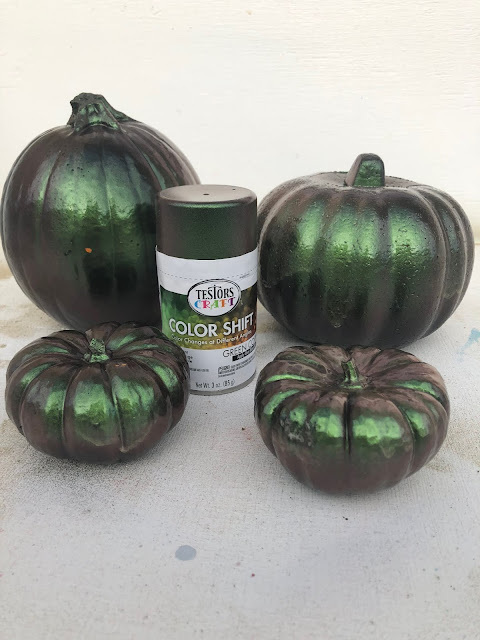 This new Testors color shift spray was the perfect match to my craft idea as it creates a color change with as few as 2 coats! 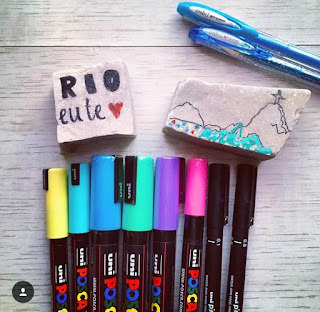 but you can find them here. 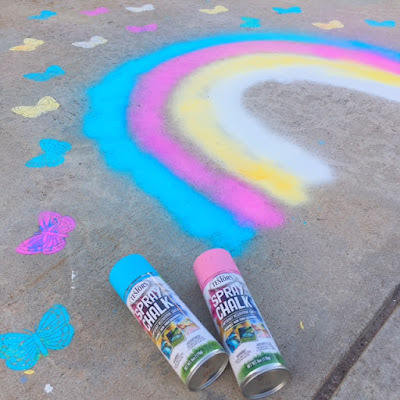 Repeat the process using the color shift spray. 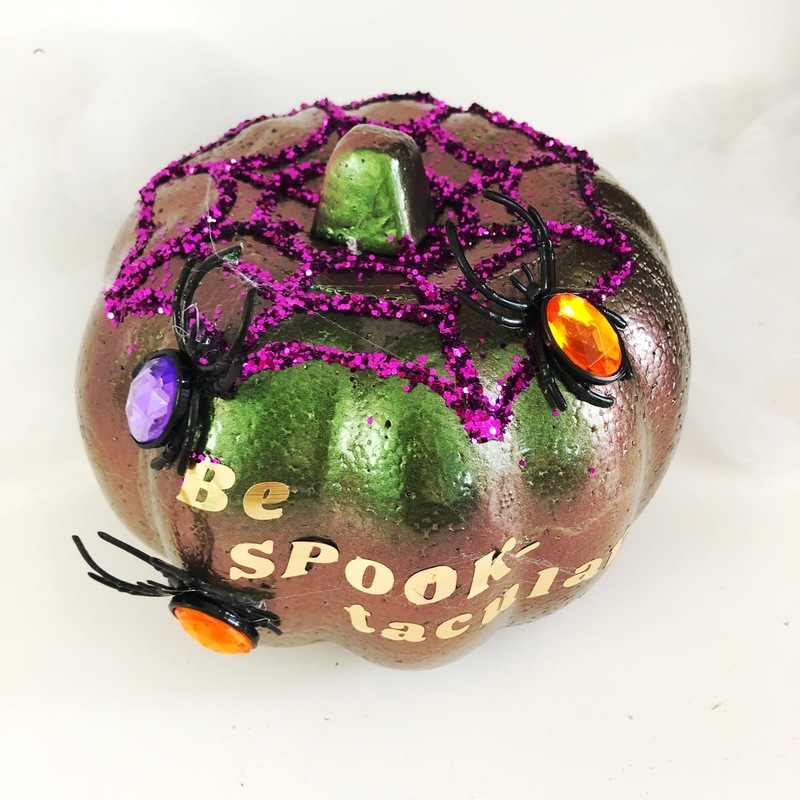 Be aware that you will fall in love with it! 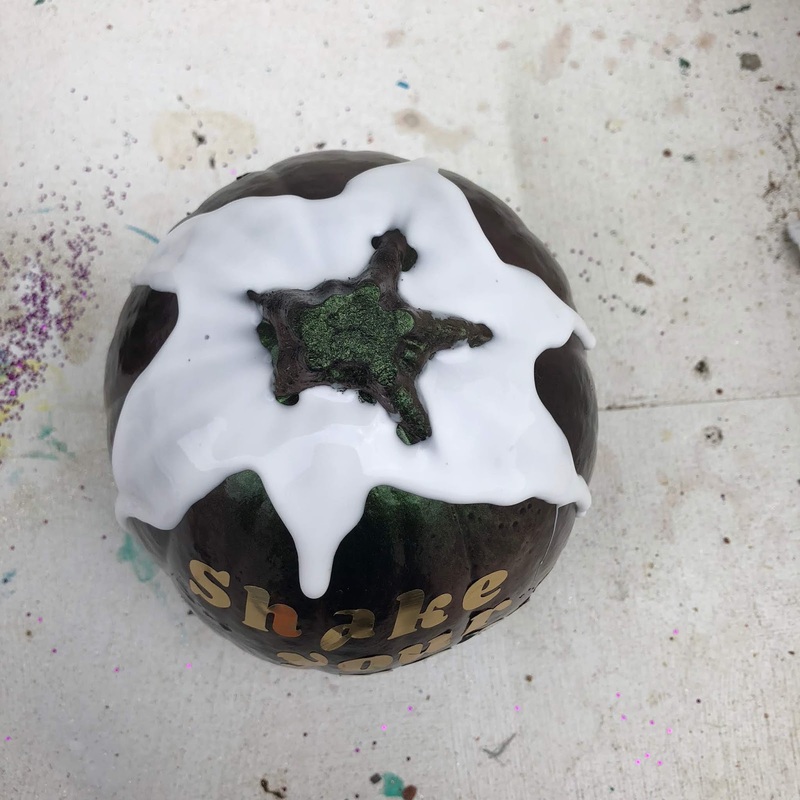 Pictures don't make justice to it! 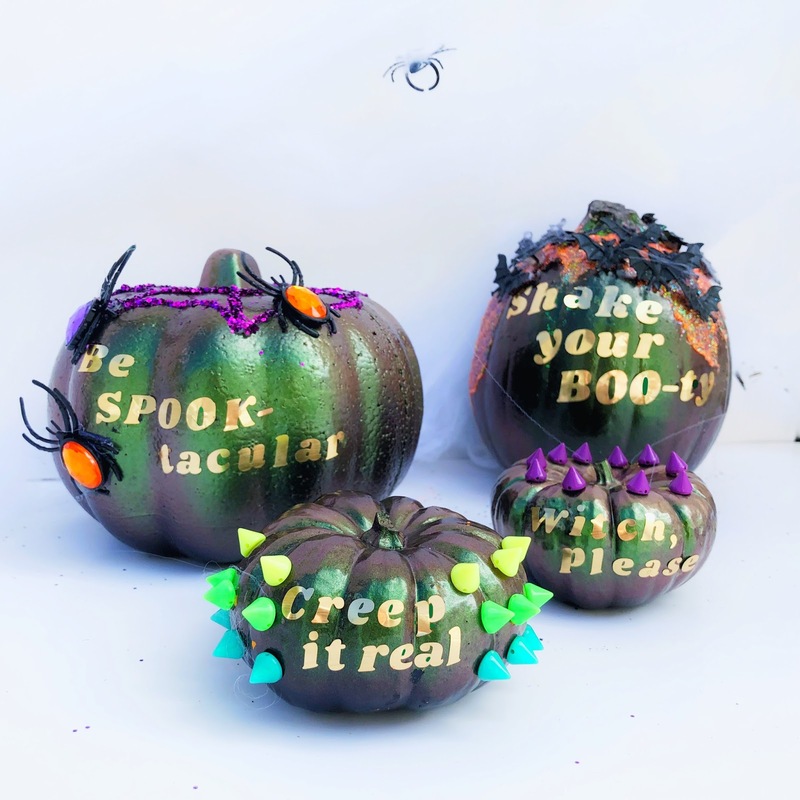 First thing is to choose some quotes and stick the adhesive letters on the pumpkins. and then pour the glitter on the top of it. 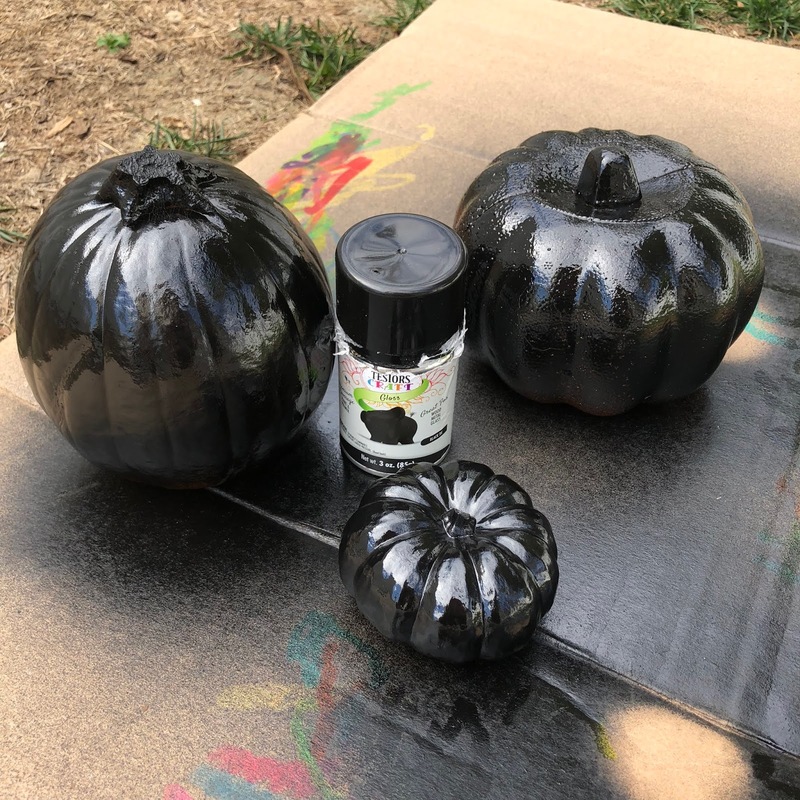 Let it dry completely. 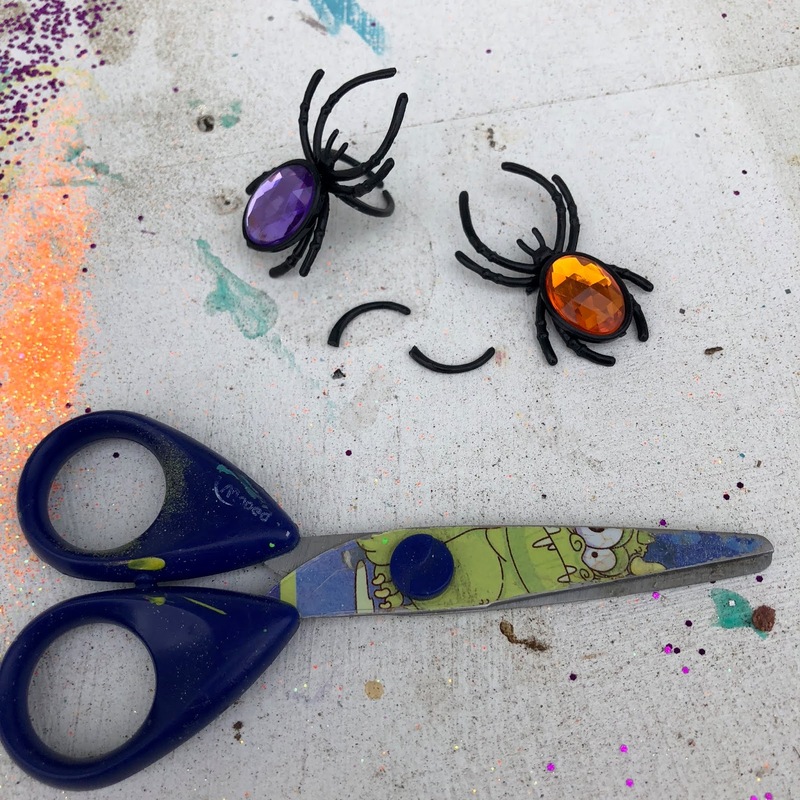 For the decoration, I used spider rings. Cut the ring curves and the spider will be flat. 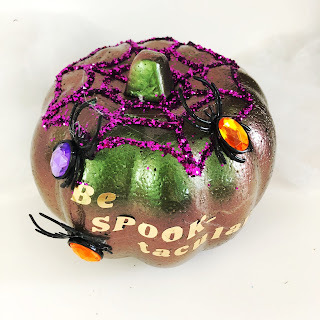 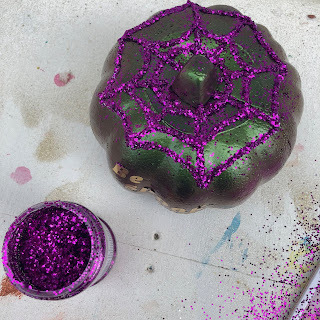 Use a hot glue gun to glue the spider to the pumpkin. 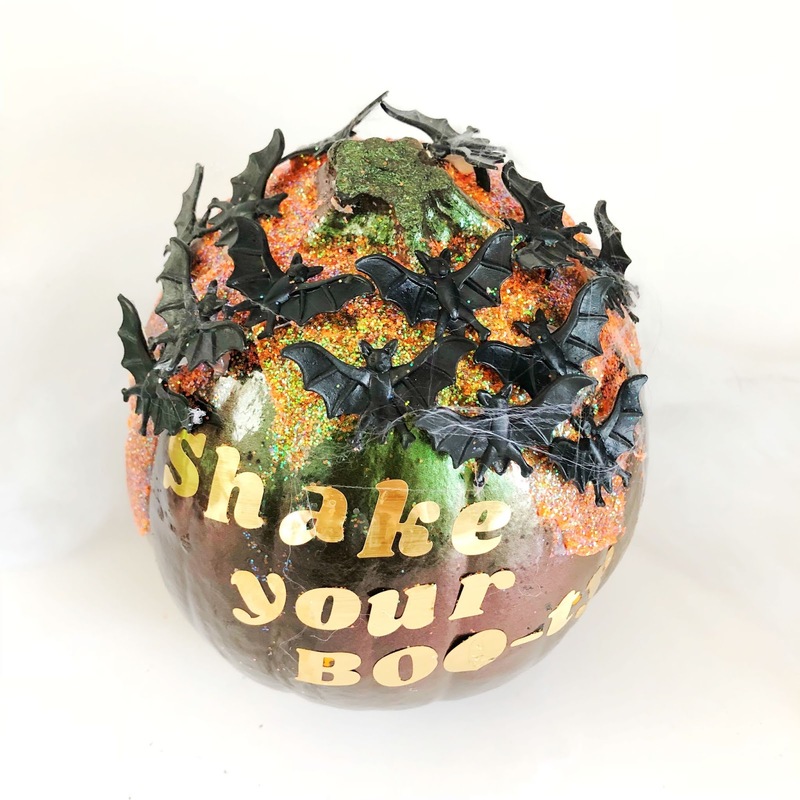 As soon as the glitter is dry, use the hot glue gun to glue the bats randomly on the pumpkin. 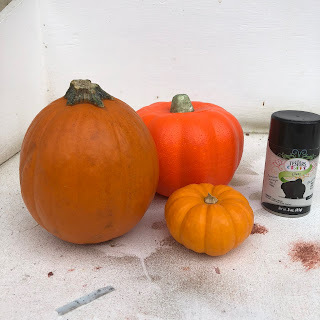 Use a dry flat brush to wipe off the excess of glitter from the pumpkin. 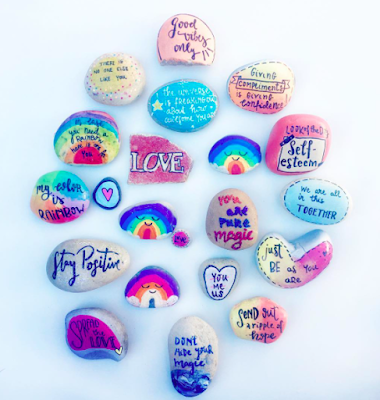 For more ideas, follow Instagram Word Rocks Project or Share a Rainbow Day.